The ASUS VS229H-P may be a budget monitor but it doesn’t fail to impress with its image quality and overall performance; in fact, it will make you feel like you would’ve spent even more money on it. It delivers a responsive gameplay experience due to the quick response time and low input lag while movies overflow with details on a crisp Full HD resolution. Moreover, the design is modern and slim which makes the monitor look more expensive as well. The ASUS VS229H features an IPS panel which is responsible for the accurate and vibrant colors. 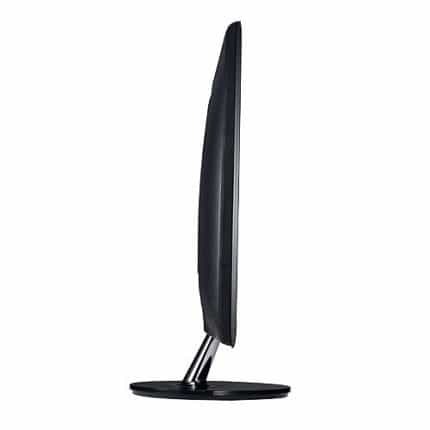 In addition, it delivers the impeccable viewing angles of 178 degrees both horizontal and vertical allowing you to enjoy watching movies from any angle without the shifting of colors. Lastly, the response time of 5ms is almost as good as the most expensive IPS monitors’ speed which makes for a smooth gameplay performance without any ghosting or trailing of the fast moving objects. Additionally, you may tweak the Trace Free feature which enhances the response time speed, however, if increased too much, the quick movement might cause blurring. So, it’s best to leave it at medium as it works perfectly fine. The performance isn’t only perfect when it comes to high-quality 1080p gaming, the ASUS VS229H-P satisfies a variety of users with the Splendid Video Intelligence Technology. This feature consists of six pre-calibrated picture presets including Scenery, Theatre, Game, Night View, sRGB, and a Standard configurable mode. All of these presets use optimized settings of brightness, sharpness, color settings, and the dynamic contrast in order to provide you with the best viewing experience possible depending on the activity on the screen. The Night View preset works exceptionally well for the dark themed video games and movies as it increases visibility. Moreover, these well-optimized presets incorporate just the right amount of the ASUS Smart Contrast Ratio feature which boasts 50,000,000:1 of dynamic contrast for a superior relation between the darkest and the brightest colors. On the bottom bezel of the ASUS VS229H-P, you can find five OSD buttons which can be used as shortcuts for different functions such as swapping between the Splendid picture presets, using the auto-adjustment feature, quickly adjusting contrast/brightness, swapping between the input source, and activating the QuickFit feature. 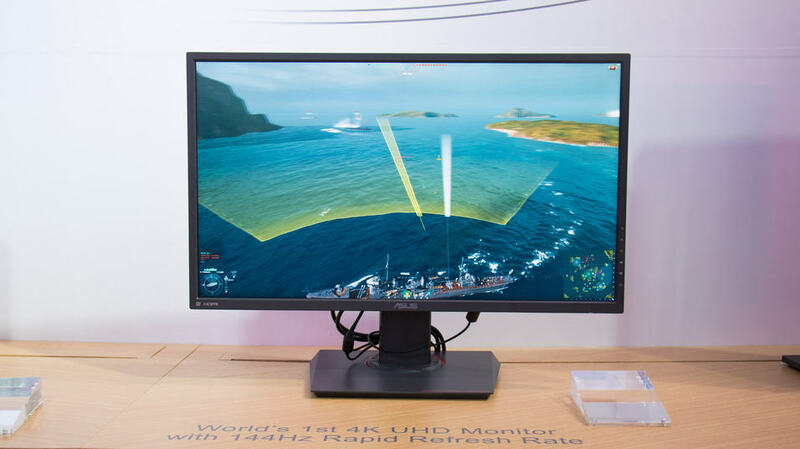 The auto-adjustment feature will automatically configure the best settings and position for the display, although it can only be used if the monitor’s connected to the VGA port which is the only time there’s a need for such feature, anyway. The QuickFit Virtual Scale allows you to place several different layouts of grid over your screen in order to more easily format your documents and photographs. Once you open up the OSD menu, you will be able to configure all the standard settings such as the contrast, brightness, dynamic contrast, sharpness, saturation, aspect ratio, etc. Additionally, you will be able to choose between four different color temperature modes including Cool, Normal, Warm, and User in which you can manually adjust the red, green, and blue color levels. The ASUS VS229H-P boasts a rather slim design with a glossy black cabinet. Both design and the packaging are eco-friendly as the panel is made mercury-free and the box is made from 80% of the recycled material. When it comes to the ergonomics, the base is easily detachable and the monitor is VESA mount compatible so you can place in on the wall or a mounting arm. There is no height adjustment option, but you can tilt the screen by -5, 20 degrees. The ASUS VS229H-P features a VGA, an HDMI, and a DVI port. There’s also an audio jack but it only functions when using the HDMI port. All ports support the HDCP (High-bandwidth Digital Content Protection) which will allow you to enjoy Full HD copy-protected content. 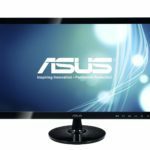 The ASUS VS229H-P is available for around $115 at the moment (March 2017). The price is certainly appealing considering the outstanding Full HD image quality, highly responsive performance, and the slim design. 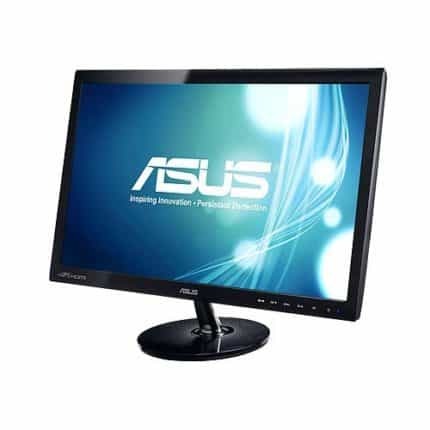 For around $15 more, you can also buy this monitor as a 23-inch version, the ASUS VS239H-P. It’s also important to note that the monitor comes with a three-year warranty. The ASUS VS229H-P performs surprisingly well for its price and delivers a vibrant and crisp image quality. The Full HD 1080p resolution simply overflows with details at a 21.5-inch screen due to the high pixel density. Whether you need an affordable monitor for gaming, movie watching, or everyday use, the ASUS VS229H-P offers rich colors and quick response time which will allow you to enjoy all the activities at high quality with a smooth performance. In addition, the beauteous design and the extra features are just an icing on the cake and nicely complement an already perfect monitor for the price. 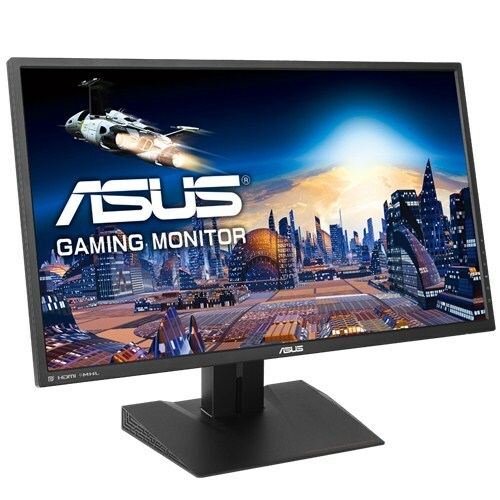 The ASUS VS229H-P is a budget monitor that offers a crisp Full HD resolution, a high-quality image with vibrant colors, plenty of connectivity options, and some exclusive feature such as the well-optimized picture presets. Moreover, it features a modern looking and slim design. The Asus vs239H-P was first released in 2012. It has awful power consumption of 40/w which is more power hungry than 2016 models with far more features and larger sizes. Why promote a 2012 model that has old version hdmi and dvi ports.